One of many still elusive (to me) Mexican species of Ruellia. This fuchsia-flowered plant appears to be closely related to several other Mexican taxa including: R. novogaliciana (red flowered), R. mcvaughii (red), R. petiolaris (yellow), R. matagalpae (purple), R. foetida (white), R. amoena (fuchsia), and R. alboviolacea (white). Sweet clade. I have never seen it, but our good friend and colleague Tom Daniel kindly provided me with this photo. I’d really like to grow it in my yard. Fast forward to 2016… and THANK YOU US NATIONAL SCIENCE FOUNDATION FOR THE OPPORTUNITY TO CONDUCT THIS LATEST RESEARCH! 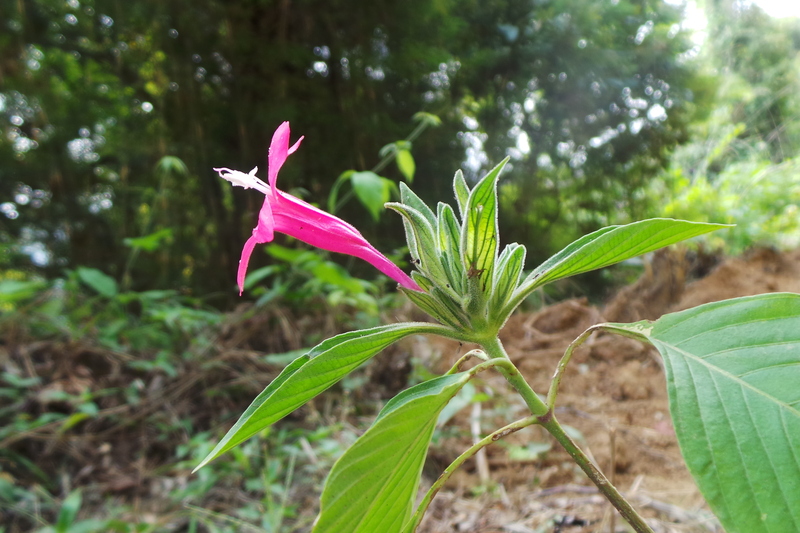 First, start by reading the entry to Ruellia matudae. 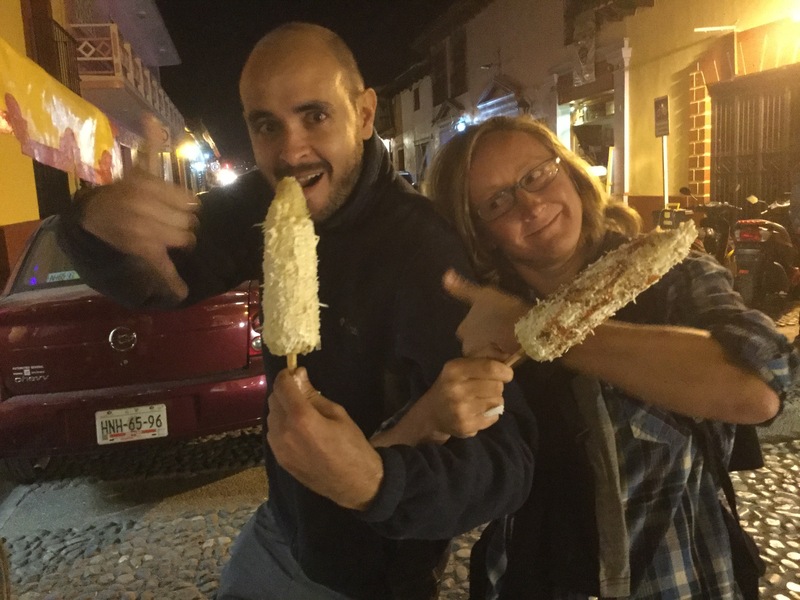 Second, stop and grab an elote. 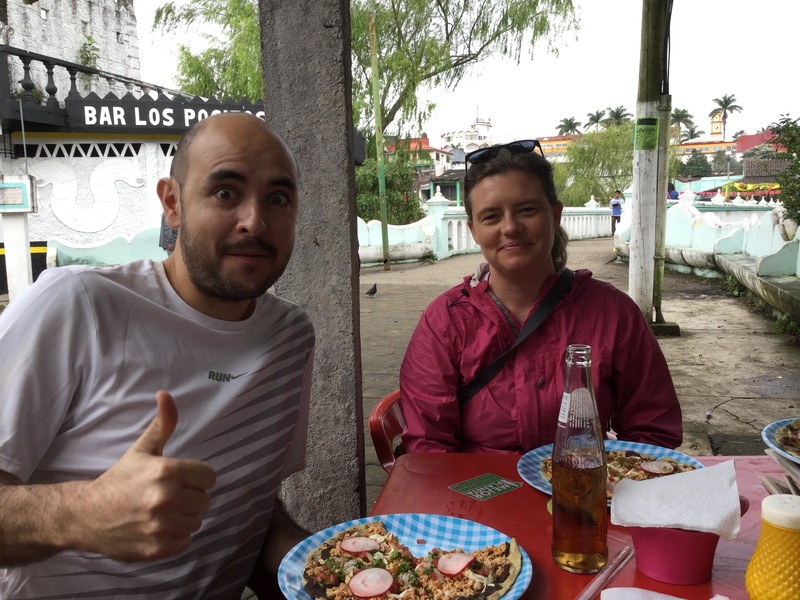 THIS was a damn fine day in Chiapas! Ruellia megasphaera was the pot of gold at the end of the rainbow that, despite our giggles and good atty-tudes (you there, Philadelphia), we three field leprechauns never thought we would find. 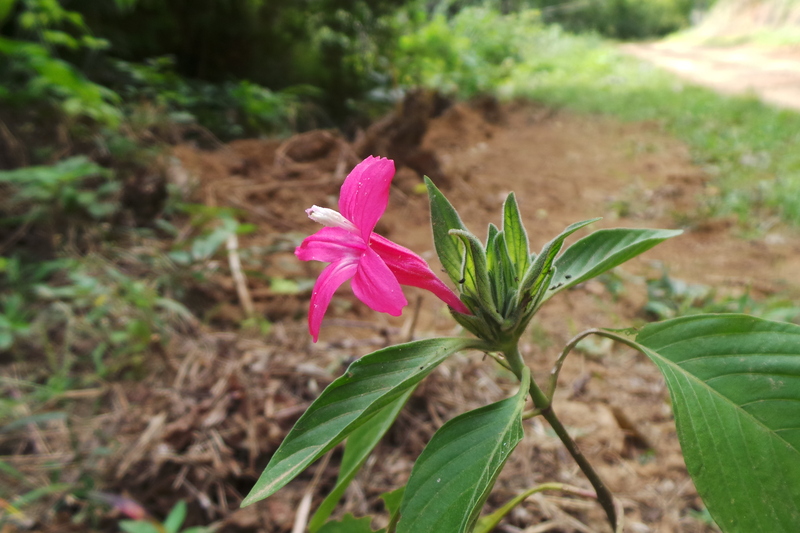 The good fortune started with Amanda Fisher somehow spotting Ruellia matudae from the narrowest slice of daylight visible directly above her head from the crowded back seat of our rental jalopy. WAAAAAAIIIIIIT! She called it. Acanth party time, folks! 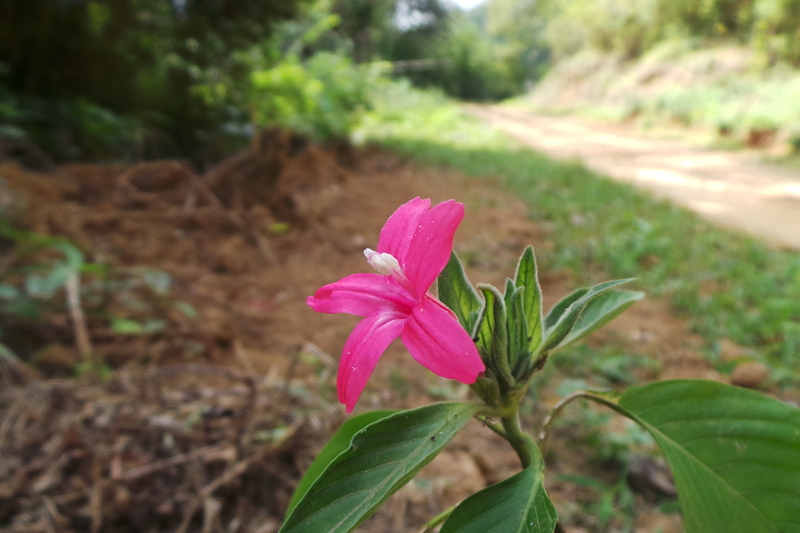 Just one hour later and two kilometers up that dirt track, we found a single individual of Ruellia megasphaera. With sessile inflorescences, pale greenish-white bracts, and the darkest loveliest pink flowers that will make any botanist wooze to her kneeze, this species goes down as one of the most curious in the entire New World radiation. Ask me why….